One of the things that make this little doggy happy is a good bottle of olive oil, and no I am not talking about the olive oils you get at grocery store chains. I’m talking about the olive oils with the rich, deep, grassy notes that linger on the food or on your tongue, the kind that has a bit to it as it slides down your throat. Do you know what I’m talking about? If not, you’re missing out. One of the things that Cambridge has been missing is a store the celebrates olive oil, but that is no more, because Salt and Olive has opened up at 1160 Massachusetts Avenue in Harvard Square, but wait there’s more. This isn’t just about the vast array of oils, oh no, they have vinegars, salts, spices and teas. This place is a piece of heaven and better yet you can sample the oils and vinegars. 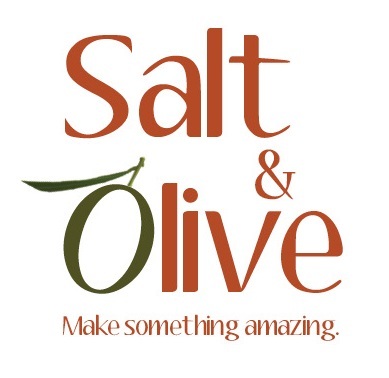 I’ve been to other stores in Boston and in other city, that specialize in oils and vinegars, but none of them have compared to Salt and Olive. The staff here really knows their products, and are their to help the novice with understanding the subtle differences, while allowing the oil connoisseur to indulge on one of the most amazing gifts from nature, the olive oil.